On March 24th 2015, HCMUARC witnessed the Thesis Defense for Urban Design students (Course 9-10). The Board of Jury included: Dr.Arch. Truong Thanh Hai-Chairman, M.Arch. Vu Viet Anh-Secretary with other members: Dr.Arch. 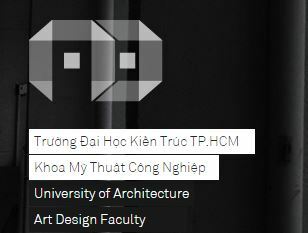 Do Phu Hung, Dr.Arch. Nguyen Anh Tuan, Dr.Arch. Nguyen Cam Duong Ly. All three students received high scores. Nguyen Ngo Phi Duong (8.84 points) – Title of Dissertation: Project of urban design in 1 Ward, Sadec city. Ngo Tan Dung (8.39 points) – Title of Dissertation: Water Urbanism in Tra On province – Response urban design to increase water system value. Van Thien Quoc Dat (8.27 points) – Title of Dissertation: Landscape urbanism in Tra On province. According to the Board, all the students had good presentation and analytic skills, be creative and had high study attitude. The three had creative approaches to the problem. Their designs are corresponding with contemporary epoch. The board especially expressed high credits for the two students Ngo Tan Dung & Van Thien Quoc Dat for their presentation in English. The program in which 3 students were following is the progressive program on urban planning (Course 9-10). It is the collaborative effort between HCMUARC and Katholieke Universiteit Leuven.